similar to this in his lone Cup start in 1992. For just the second time this year, and the first time since May, there will be three consecutive 40-car fields in NASCAR’s elite division. Missing from Charlotte are the #51 Chevrolet of Rick Ware Racing, which has been 0-for-3 on starting plate races in 2017, and Motorsports Business Management, which is reportedly finishing a second Cup car to enter alongside the #66 at Martinsville. The first returning team is Beard Motorsports, which has run exclusively on the plate tracks. XFINITY Series regular Brendan Gaughan once again climbs behind the wheel of a #75 Beard Oil Chevrolet that has impressed this season. Gaughan began the year with an 11th-place run in the Daytona 500, recovered from front valence damage at the start at Talladega to finish 26th, and ran a season-best 7th in July’s return to Florida. Gaughan’s best Cup finish – and lone Top 5 in the series – came in this very race in 2004, when he ran 4th for Doug Bawel. For the first time since Premium Motorsports acquired all the assets of Tommy Baldwin Racing in September, Baldwin's #7 Golden Corral / Katerra Chevrolet will enter a Cup Series race with Justin Marks behind the wheel. The 2016 Mid-Ohio winner in the XFINITY Series returns to the #7 for the first time since his Cup debut at Sonoma in 2013, when he finished 30th, and makes his first Cup start since the 2015 Sonoma race, where he ran 30th again for Front Row Motorsports. Marks has made five Talladega starts in ARCA with a best finish of 8th in 2007, and ran 11th there for Chip Ganassi Racing last year. Premium is expected to field the #7 again at Martinsville in two weeks with Hermie Sadler driving and sponsorship from the Virginia Lottery. D.J. Kennington makes his first Cup start since the Coke Zero 400 in July. It’s been a rough season for the Canadian, who raced his way into the Daytona 500 only to be involved in a multi-car crash, was the only driver to DNQ at Talladega, and blew an engine in July. This week, he drives Premium’s #55 instead of the #15 in July, carrying sponsorship from Dirt and Rock. Kennington will also run double-duty this weekend, making his first Truck Series start since Mosport, this time in Premium's #15 Loser's Bar and Grill Chevrolet. 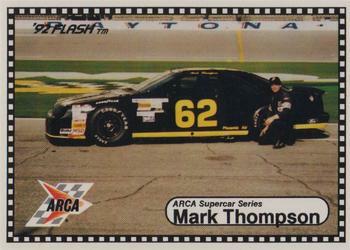 Driving the primary Premium car, the #15 Chevrolet, will be 65-year-old Mark Thompson. A veteran of the ARCA Racing Series, where he’s run chiefly on the superspeedways for more than two decades, Thompson eyes his first Cup start since June 14, 1992, when he finished next-to-last ahead of Andy Belmont at Pocono. That race, more than 25 years ago, marked Alan Kulwicki’s fifth and final Cup win. Just as in 1992, when he drove for Henley Gray, and this year, when he made two XFINITY starts for Motorsports Business Management, Thompson will carry sponsorship from Phoenix Air. 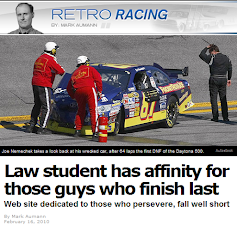 According to racing-reference.info writer nascarman, Thompson’s return is not the longest gap between Cup starts. The record remains with Jimmy Ingram, 28 years from the 1952 Southern 500 to his return at Dover in 1980. Joey Gase also returns to the Cup Series for his sixth start of the season and his first since Bristol in August. As at Bristol, he will drive the #23 for BK Racing, this time with the Dr. Pepper colors and, in conjunction with his cause for the Donate Life, the name of organ donor Jerred Bowles on the TV panel. Gase ran for Premium Motorsports at Talladega this past spring, where he finished a career-best 21st. His drafting partner in the #83 Dustless Blasting Toyota was slated to be Corey LaJoie, but the driver indicated on Tuesday he would not be racing. Taking his place will be Gray Gaulding, who ran 20th in the spring. Both BK Racing and Premium Motorsports will be ones to watch at the start of Sunday’s race. Back in May, both Premium’s #55 and BK’s #83 pulled into the garage area on the opening lap to switch over from qualifying to race setup, including a change of fluids, which cost each eight laps. This strategy may have been used since both cars were in a “go-or-go-home” situation in qualifying against D.J. Kennington’s Gaunt Brothers Racing #96. So long as another car isn’t entered, such a strategy may not be necessary. A broken hub at Charlotte left Cole Whitt 34th at the finish, 42 laps down, marking TriStar Motorsports’ fifth-straight finish of 30th or worse. A restrictor-plate race, and the chance for a better finish, could not have come at a better time. Other than an early engine failure at Daytona in July, the #72 Chevrolet has been fast on the superspeedways. Whitt came close to his first Top 10 in the Daytona 500 before he ran out of fuel on the final lap, but still finished 18th, a run improved by a 16th at Talladega in May. TriStar’s best Cup finish at Talladega remains a 6th by Greg Sacks on July 25, 1993. 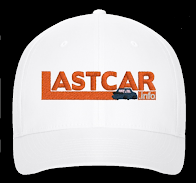 Go FAS Racing will also be a single-car team to watch as Matt DiBenedetto looks to follow-up his 9th-place run the Daytona 500, 18th at Talladega, and 13th in the Coke Zero 400. DiBenedetto also scored a 23rd-place finish last week in Charlotte, ending a streak of four consecutive 31st-place runs with his best finish since he ran 8th at Indianapolis. Also, don’t overlook Leavine Family Racing, whose driver Michael McDowell has another golden opportunity for a strong run before Kasey Kahne takes over the #95 in 2018. McDowell’s plate finishes in 2017 were a 15th in the Daytona 500, 34th after a crash at Talladega, and a season-best 4th in the Coke Zero 400. A spin at Charlotte ruined a strong start to the weekend where he lined up 16th on the grid, handing him his fourth-straight finish of 23rd or worse. In this race last year, McDowell finished 16th, his second-best finish at the track behind a 13th for Phil Parsons Racing in 2013. For the first time since Chicago, three rounds ago, there will be a full field of 32 trucks in Saturday’s Truck Series race. It will be the 13th full field in 19 races run in 2017. Missing from the Las Vegas entry list are three LASTCAR contenders: Jennifer Jo Cobb’s #0 Chevrolet (driven by Matt Mills; Cobb herself drives the #10 on Saturday), Al Niece’s #38 Chevrolet (whose driver T.J. Bell returns this week to Niece’s #45), and Norm Benning’s #57 Chevrolet (driven by Mike Senica), plus Tommy Joe Martins’ #44 Chevrolet with driver Austin Wayne Self. Welcome back Mike Affarano, who we haven’t seen in a Truck Series field since he ran 30th at Iowa on June 19, 2015. Then as now, Affarano fields his own truck, the #03 Calumet City Auto Parts / Stop Bullying Chevrolet, which was originally slated to return last month at Chicagoland. Affarano has one Truck start at Talladega to his credit, having run 24th in 2014, and also ran 29th in his ARCA debut here in 2012. Chris Fontaine returns to attempt his first Truck Series start of 2017 following a DNQ at Daytona. As in February, the plate racing Fontaine drives his own #47 Chevrolet with returning sponsorship from Glenden Enterprises. Fontaine has a pair of Top 10s in his seven Talladega starts: a 7th in 2014 and an 8th in 2015. He ran 23rd here last year. Bolen Motorsports is back in the show for the first time since Mosport in September. This week’s driver of the #66 Chevrolet is 19-year-old Michigan driver Vinnie Miller, who last month made his XFINITY Series debut for JD Motorsports at Chicagoland, finishing 29th. Saturday will mark Miller’s first superspeedway start. Clay Greenfield is back for the first time since the night race at Bristol, prepared to make his fourth start of 2017 in the #68 Titan Paint Sprayers Chevrolet. Greenfield has four Truck starts at Talladega, the best of which a 13th in 2013 when his team entered the only RAM in the field. Premium Motorsports enters its second truck, the #15 Chevrolet, for the third time this year and the first time since Loudon. In place of Gray Gaulding and the originally-listed Reed Sorenson will be the aforementioned D.J. Kennington. Wendell Chavous remains his teammate in the full-time #49 Vydox Plus Chevrolet. Also back in the show are NASCAR journeymen Parker Kligerman and Regan Smith. Kligerman, the 2012 race winner, makes his seventh Truck start of the season, his first since an 8th at Mosport, and will again drive Charlie Henderson’s #75 Food Country USA / Lopez Wealth Management / Tide Pods Toyota. Regan Smith, a 2013 XFINITY winner at Talladega (and technically the 2008 Cup winner), makes his tenth Truck start of 2017 in Ricky Benton’s #92 Ford with five listed sponsors: BTS Tire & Wheel, Commercial Tire & Service, Advance Auto Parts, CarQuest, and Valvoline. It will be Smith’s first Truck star at Talladega in a decade, dating back to his 9th-place run for Bobby Ginn in 2007. Smith’s best Truck finish of 2017 came at the Daytona opener, where he finished 6th. Mike Harmon looks to make his fourth Truck Series start of 2017 and his first since Chicagoland, where he ran 27th in his own #74 Chevrolet. 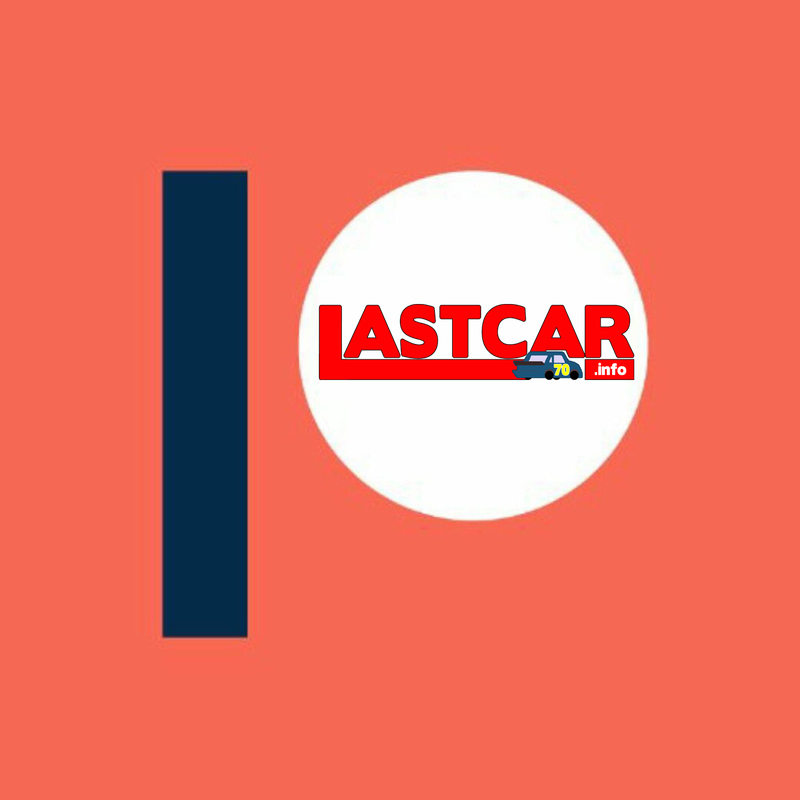 This time, he is slated to run in place of Jordan Anderson in TJL Motorsports’ #1 Chevrolet, a truck he hasn’t run since a 27th-place finish at Atlanta. Harmon’s best series finish in four Talladega starts was a 22nd in 2013. Driving MB Motorsports’ #63 Chevrolet is ARCA superspeedway veteran Bobby Gerhart, who hasn’t run a Truck Series race since this year’s Daytona opener, where he finished 21st. Gerhart has finished no worse than 17th in his two Truck starts at Talladega with a 12th in 2015 and a 17th just last year. At the back of the field, with neither Tommy Regan nor Mike Senica in the field, LASTCAR Truck Series title looks one-sided. Current leader Todd Peck was originally listed in the #83 Chevrolet for Copp Motorsports, but will be replaced by Spencer Boyd and sponsorship from Grunt Style. Now one finish behind Peck, but still ahead on both Bottom Fives and Bottom Tens, Joe Nemechek could close the gap with a finish on Saturday as he enters his own #87 D.A.B. Constructors Chevrolet. Nemechek’s most recent last-place run at Bristol marked the last time the last-place finisher completed any laps. 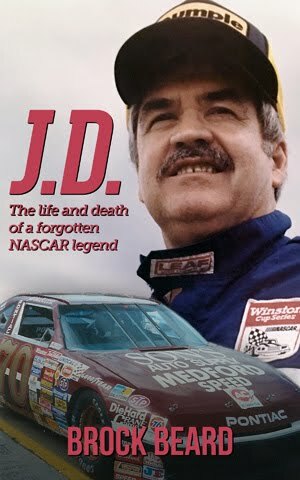 That night has since been followed by a NASCAR record four-straight races where the LASTCAR headliner failed to complete a single lap. UPDATE (Friday): Mike Affarano has withdrawn the #03, Austin Wayne Self drives the #45 in place of T.J. Bell.